Our annual Winter finals were held on March 27th at the Mayfair Lake Shore Club. Several hundred spectators and players witnessed a fine squash competition with five division championships up for grabs! Divisions I through IV are five person teams playing in the ranking order of position 3,5, 1,4,2 while the Masters Division played in the order of 3,1,4,2. In Division I, Toronto Racquet Club were up against Executive S&F. After a hard fought match at the #3 position, Exec's Chris Wichers outlasted Dale Beesley with a 3 to 2 victory. However the rest of the matches were won by TRC and they emerged as Div I Champs. Congratulations to TRC's Blake Reinson, Adam Engel, Dale Beesley, Don Lee and Patrick Morkus. In Division II, One Health took on a strong team from Toronto Cricket Club. After exchanging wins in the first two matches, Toronto Cricket swept to victory winning at both position# 1 and # 4. Well done our Div II champs from the Toronto Cricket Club Rob Cooley, Joel Seider, Rob Hong, Jamie Herman, and Jason Facchin. In Division III, Headwaters Racquet Club faced a strong team from Mississauga Community Centres. After dropping the first 2 matches. Headwaters had a glimmer of hope as Caiden Fairburn defeated Omar Khan at the #1 position 3 games to 1. However Mississauga were back in the winner's circle with a convincing victory at #4 and clinched the overall Div III title. Congrats to Omar Khan, Sunny Sareen, Kedar Kulkarni, Krish Saxena and great young player Brianna Jefferson! In Division IV (our Friday Night gang), were represented by Richmond Hill and Mississauga Community Centres. Richmond Hill didn't waste any time and dominated the first 3 matches to take the title as Div IV champs. Well done Rayhan Walia, Nick Reimer, Thang Le, Jason Gin, and Ian Assing. In the Masters division, a closer battle was fought between Richmond Hill and Masters Fitness and Squash. After splitting the first two matches at the #3 and #1 positions with identical scores of 3 games to 1, Mustafa Salemwalla Richmond Hill #4 won his match 3 games to 1 which set the scene for their victory as their #2 man Dave Zur sealed the victory by winning at least two games in his match. Richmond Hill takes the title based on total games won! And their second title of the evening. Well done Dave Conte, Dave Zur, Tony Pitoscia and Mustafa Salemwalla. The T&D League would like to recognize the support of our main sponsor BDO Canada and their continued assistance in the operation of both summer and winter leagues. 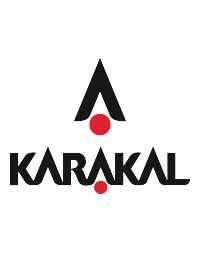 Many thanks to The Mortgage Trail and Karakal for their sponsorships. The evening was great success due to our hosts Mayfair Lake Shore providing a wonderful facility and great food. Many thanks to Darlene Holland, Robert Costello and Greg Hutner and all the staff at Mayfair . Many thanks to our referees who helped make the matches run smoothly. Finally, Andrew Laidlaw and Squashnut for his technical support and web expertise. Thanks to all team competitors and Captains for their input and organization during the Winter league season. We look forward to the summer squash and continued great squash in the T&D Leagues.